Based on that, obviously we all want to jump to the conclusion that it's Harrison Ford reprising his role on the series. After all, Rebels was able to get James Earl Jones, Frank Oz, and Billy Dee Williams to reprise their roles from the films in episodes this season. That being said, I think that's a long shot. 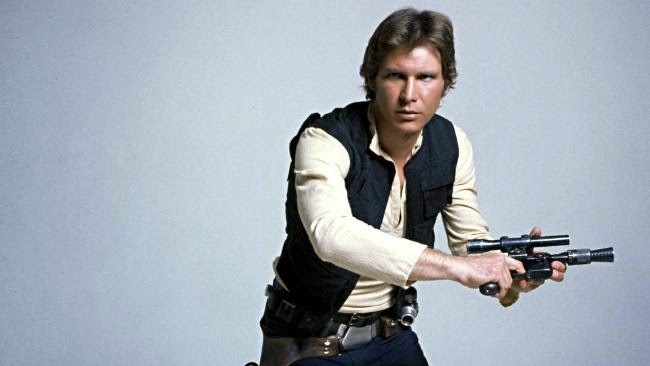 If I were a betting man, I would say that if/when Han shows up he'll be voiced by David Collins, who portrayed Han in the Star Wars Commander mobile game and in the audio drama Smuggler's Gambit. Collins does a great job with the role, so if he were to do the voice in the series I would have absolutely no problem with that. Anthony Ingruber would do a great job with the voice as Han Solo.